Hello Midnight in the Desert Listeners! I had a great time talking nightmares with Heather. You guys are really cool and I liked talking to the people who called in. Thanks for visiting my site. If you want, email me at adam.bulger@gmail.com. I’ll take your questions seriously and answer as best as I can. Click here for the 1981 CDC report on SUNDS. As far as I know, this is the only place it exists on the internet. Click here for the original Los Angeles Times stories on the Hmong sleep deaths. 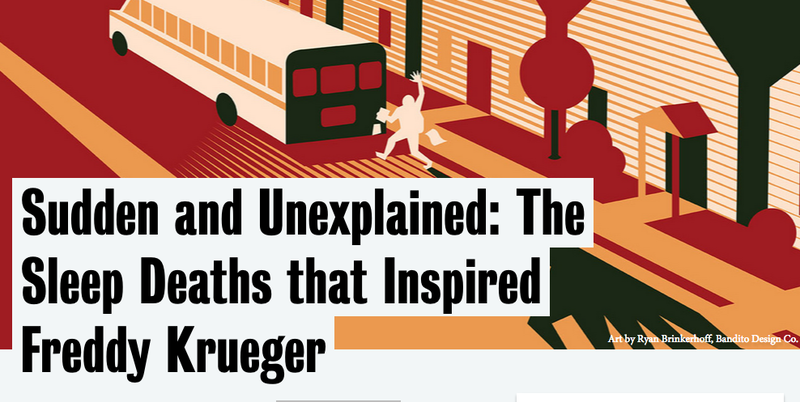 Here’s my original story on the real life origins of Freddy Krueger. Here’s a rundown of some of the sleep monsters I mentioned on the show. And, for the curious, my interview with Hunter Thompson. It’s mostly a goddamn nightmare. This isn’t a new story, but I just realized I’ve never linked to it despite how much I like it. It’s a deep dive into the true story behind the ’80s horror classic A Nightmare on Elm Street. Enjoy. I just found the Centers for Disease Control’s 1981 report on the Hmong sleep deaths. In case anybody’s curious, I’ve archived it below. Thanks to the great Kevin Moore for leading an insightful talk. For the curious: I’ve archived the original L.A. Times articles about the deaths among the Hmong in the late ’70s and early ’80s. I drew on them extensively for my story on the real life origins of Freddy Krueger. Click below for PDFs of the stories. I’ll keep them up until somebody tells me I can’t. 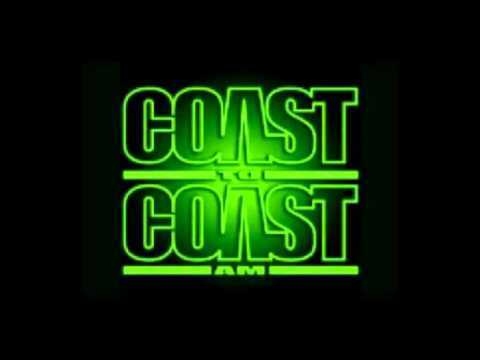 Welcome Coast to Coast Listeners! My little blog was linked to by Coast to Coast AM, one of the most popular radio shows in the world. I am delighted to have the privilege of being a guest on the program on Sunday, Sept. 13. I am writing this in advance of the show but I’m assuming that you are probably here because you heard my guttural New Jersey accent telling scary stories about people dying in their sleep. For more journalism with a capital “J,” here’s my recent look into a NASA fueled study into using cryogenic sleep to travel to Mars: How Traveling to Deep Space In Cryogenic Sleep Could Actually Work. Feel free to scroll down to read more stories on this site. They’re mostly about music and pop culture. Thanks for stopping by.